United States kicked off the year with a 2-0 triumph against South Korea as Chris Wondolowski scored twice which helped his national team on winning their first match of 2014 as they played at the Stubhub Center in California in February. Jurgen Klinsmann is the coach of United States and he is one of the main men in charge of preparing his countrymen for their 2014 World Cup matches as they were pitted to go against Ghana, Portugal and Germany. Despite being placed in a tough group, Klinsmann is expecting to see his team advancing through the knockout stages of the worldwide competition as according to him, United States have matured and are going to give it all in the pitch. “Our team has matured a lot over the last couple of years and we are going to give them a big, big fight,” he told reporters at a FIFA pre-World Cup workshop on Wednesday. We are expecting to go to the knockout stage that means Germany, Portugal and Ghana will have to fight it out for the other spot from Group G’’. “We’ve come through a tough qualifying process where we proved our capability. We have a lot of good players,” said the former Germany coach who led his home country to third spot at the 2006 finals’’. The 2014 World Cup has been heavily critized because of the number of trips that some squads will have to make in order to fulfill all of their scheduled matches but Klinsmann believes that it will not be a problem. “I think that for a team to travel long distances at the World Cup is not that difficult because you are well taken care of with charter flights and road escorts. It might be more difficult for the fans to go from one place to the other’’. Klinsmann added. The United States national team face the prospect of a very tough group at the World Cup 2014 after being drawn along with Brazil, Portugal, and Ghana. Portugal and Brazil will undoubtedly be the favourites to qualify from the group, while Ghana will be the likely dark horses. Even though United States have done well in recent major tournaments, they are unlikely to be considered as favourites to qualify for the next stage. Despite this, manager Jurgen Klinsmann has said that he is optimistic about the chances of doing well in Brazil. Klinsmann says that there are a lot of surprises waiting for the teams in Brazil, which is a huge country. Klinsmann did well with the German national team at the 2006 World Cup, but he says that the playing field is totally different when it comes to 2014. One of the major reasons for such thoughts is the vast nature of the country itself, which will pose climate and logistical challenges for the teams. The North of the country is extremely hot during the month of June, while the south of Brazil is extremely cold. This is expected to be a huge factor in deciding the outcome of the group stages. Hence, Klinsmann remains confident and optimistic despite the draw. “I call this tournament the ‘World Cup of Patience’. Because of the Brazilian style of life, there will be a lot of surprises waiting. … It’s not going to be a perfect World Cup for anybody. I’m pretty sure we are going to make it through to the [knockout] round. Nothing will be laid out perfectly. There will be delays and logistical challenges with the hotels, fields, stadiums or whatever,” said the former Tottenham midfielder, who had been linked with a return to his former club after they sacked Andre Villas-Boas. There have been several rumours over the last few weeks that US national team manager Jurgen Klinsmann could take over the Switzerland role after the end of the World Cup. The former Germany manager has been in charge of the US national team for the last few years. He has helped the team qualify for the World Cup 2014 and they are expected to do well this time around. Due to the stellar work that he has done with the US team, he continues to be linked with several national and club management roles. Switzerland are the latest to be linked with Klinsmann. They will be without the manager after the World Cup 2014 since Ottmar Hitzfeld – their current manager – has revealed that he will step down from his role at the end of the World Cup. 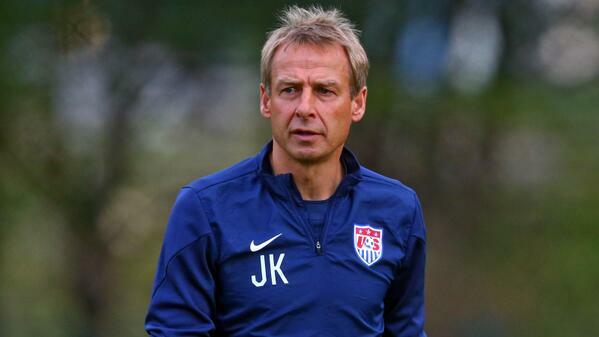 Klinsmann has not refuse to rule out of the rumours linking him with the job. Speaking to German tabloid Bild, he has confirmed that there have been several offers on the table for his services, but he is yet to decide on his future. He has confirmed that there have been several clubs interested in bringing the former Tottenham striker to club football. “I have been receiving several enquiries in recent months. Those enquiries were from Europe-based clubs and from several Football Associations as well. And all of them were about the time after the 2014 FIFA World Cup,” said Klinsmann, whose contract with the US national team runs out of the World Cup. Even though his work has been praised around the world, many of the Americans are not happy with his performance. Klinsmann has introduced a number of Germans into the national team squad by taking advantage of FIFA’s rules. It is expected that he will announce his decision in the next few weeks. Former Tottenham player Jurgen Klinsmann has said that he wants to remain as the national team coach of the United States after 2014 as well. The contract of the German comes to an end in the summer. He has been the manager for the last three years during which time he has received plenty of praise and criticism in equal measure. Klinsmann has said that he has so far been doing only the foundation work. Aspects like getting the youth to get connected and educating the coaches are being carried out right now. He is of the opinion that the U.S. Soccer president is impressed by the work he has done so far. Hence, he has revealed his desire to stay beyond the current contract. US are struggling to qualify for the 2014 World Cup as outright winners of the group. After recent run of good form, they have only a one-point advantage over second placed Costa Rica. The upcoming World Cup qualifiers for the team in October are going to be extremely important since they will be facing Jamaica and Panama. The recent 3-1 loss to Costa Rica allowed the second place team to close the gap, but the US bounced back straightaway after a 2-0 win over archrivals Mexico. “A lot of the stuff we’ve done now is foundation work. It’s really just starting to connect the dots that you always talk about in the soccer landscape in the United States: Getting connected to the youth level, to coaches’ education, getting connected really well with MLS. So yeah, that is my interest to continue that work, I’d love to be measured on success. I like that. A lot of the stuff that we laid out and continue now to deepen is happening,” said the manager ahead of the match with Jamaica. 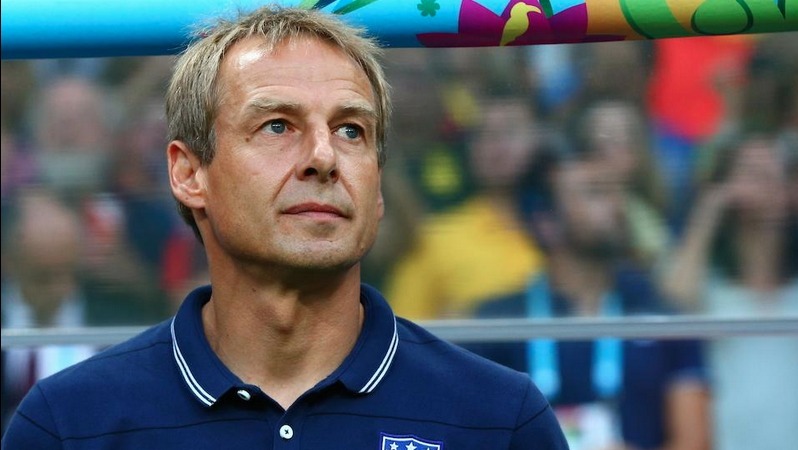 The head coach of the US national football team, Jurgen Klinsmann, has said that the friendly match against Guatemala is a good opportunity for his players to get into the rhythm before the Gold Cup. USA will take on Guatemala on Friday at Qualcomm Stadium and just a week after that, they will start their Gold Cup campaign against Belize. Guatemala hasn’t been able to qualify for the Gold Cup and the team has to face a lot of criticism for that. So, they might like to prove a point or two against USA. Klinsmann also warned his players that they shouldn’t be taking Belize lightly in their first match of the Gold Cup. According to CONCACAF rules, the teams need to submit their preliminary squad one and half months before the start of the Gold Cup. United States national team manager Jurgen Klinsmann has said that LA Galaxy striker Landon Donovan will have to work hard if he is to return to national team football. The 31-year-old took a sabbatical from sport without the consent of the managers involved. Even though LA Galaxy manager Bruce Arena said that he would be welcoming the striker anytime, Klinsmann has not been happy about the situation. In the absence of Donovan, the US have suffered poor results in the World Cup qualifying group. It has also left the future of Klinsmann in major doubt. Donovan is regarded as one of the best strikers at the national team level for the US. However, Klinsmann has said that the striker will have to work hard before he can think about a recall to the national team. He has said that there are several players who have done extremely well in recent months. They deserve a call up ahead of Donovan according to Klinsmann. Donovan was at his best in recent 2-0 win for LA Galaxy over Kansas City. He scored one goal and created the other for his club team. The player recently returned to football after several months of sabbatical. He claimed that he was tired after having played continuous football in recent years. “There are players clearly ahead of Landon Donovan right now. We’ll see now how he will do in the next couple of weeks and months. We’ll look at the entire picture. And then make our calls. It’s not down to one game when you score one goal, ‘Now you’re back in the team,’. I’ve always said that I would observe him like we will observe all the other players over the stretch of a period of time. There is a chemistry being developed as a group … and he hasn’t been part of that development most of the time over the last two years,” said Klinsmann. The head coach of the USA national football team, Jurgen Klinsmann, is disappointed about the fact that his first choice goalkeeper Tim Howard will not be able to play in the upcoming world cup qualifying matches against Costa Rica and Mexico because of injury. The United States national team recently put in one of their worst performances under the manager Jurgen Klinsmann in the recent 2-1 defeat at the hands of Honduras. After the match, the former Germany manager said his tributes to the excellent Honduras performance, while also criticising his players as well. Klinsmann said that his players were unable to find the passing flow. He also said that being unable to hold the ball and combine well enough were also the reasons for the defeat. As a result of this defeat, United States are now without a victory in the last three matches. Even though they were unable to win the previous friendly matches against Russia and Canada, they would have been hoping to win this important World Cup qualifying match. However, this defeat has raised the significance of the two important World Cup qualifying matches that will take place in the month of March – against Costa Rica and Mexico. Klinsmann will be under great pressure ahead of this match having already lost to Mexico only recently. The United States actually managed to take the lead through the former Fulham striker Clint Dempsey. However, two goals from Honduras on either side of the break meant that they were able to take the lead and subsequently win the match. “We didn’t find our passing flow. We didn’t combine well enough, we didn’t hold the ball well enough. They were very good today. It was a good game by them, and you have to give them credit. You have to give Honduras lots of compliments today. They did what they needed to do and scored a fantastic goal. We knew coming here it was going to be a difficult game and it was. It is a stretch of 10 games,” said Klinsmann after the match. The coach of the United States national team, Jurgen Klinsmann has said that he is confident that either Manchester city or Borussia Dortmund can win their respective Champions League groups. Both Manchester city and the German champions Borussia Dortmund find themselves in a difficult group containing the likes of Real Madrid and Ajax as well. Many have labelled this is the group of death because it contains the champions from all major countries like Spain, England, Germany, and Holland. Despite this competition, the USA national team coach is confident that Manchester city and Dortmund have enough quality within the squad to progress to the last 16 stage. Dortmund come into the second consecutive Champions League campaign with a difficult group stage draw, despite the fact that they have come into the competition as the champions of Germany. Manchester City also had a difficult draw last time around, but facing the likes of Real Madrid and Ajax is going to be real tough for the English champions according to Klinsmann. Yet, he believes that Manchester city are far superior when compared with Real Madrid and Ajax. Klinsmann says that Real Madrid are more dependent on Cristiano Ronaldo while the English Champions are not. “English champions Manchester City or Bundesliga champions Borussia Dortmund are teams to be reckoned with. They could cause a surprise and win the Champions League. The most important thing in the Champions League is that you hit top form at the right moment. For example, I believe that Manchester City are a better team than Chelsea. As for Dortmund, they have to realize that the Champions League is something completely different than the Bundesliga,” said Klinsmann. He even went as far as saying that Manchester City can even win the Champions League title this time around.